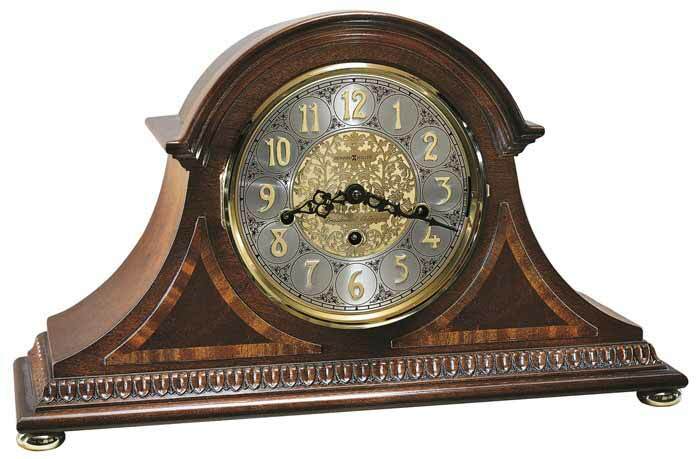 The Howard Miller Webster is a Presidential Collection Mantel Clock where an arched molding crowns the case. Two triangular, rare crotch mahogany and satinwood overlays bring focus to the dial. Finished in Windsor Cherry on select hardwoods and exotic veneers which is highly polished by hand using real lacquers. 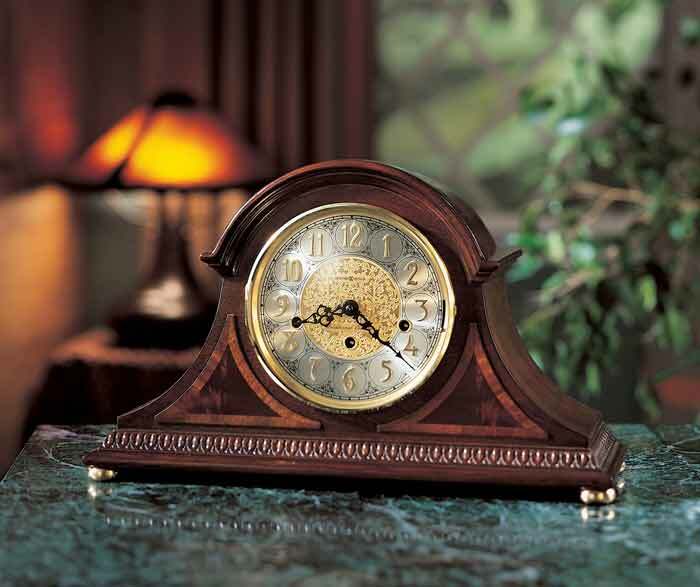 Impressive dial features intricate vine pattern and Presidential insignia. Dentil molding trims the base, which is supported by round brass feet. 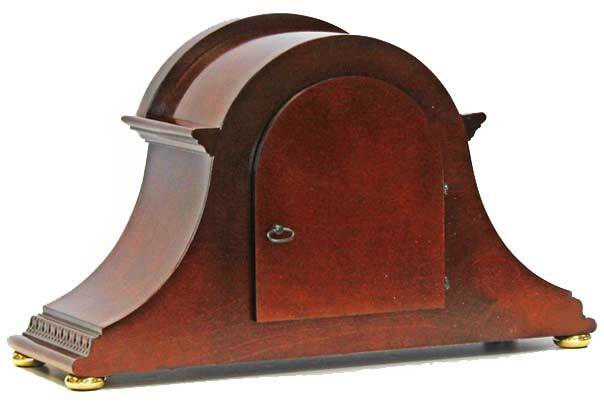 • Solid Cherry cut moldings on the base. • Wind only once a week. The Webster uses the premium Kieninger SEW01 triple chime movement that plays Westminster, Whittington and St Michaels chime melodies with quarter hour movement. Made in Germany. 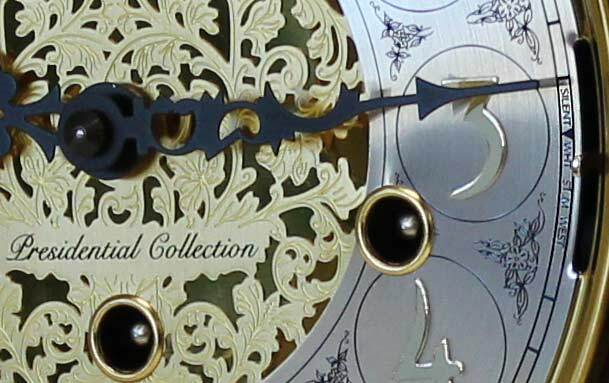 A Swiss style escapement with 5 jewels for accuracy and six Aeterna bronze bushings to reduce wear over the decades. You select the melody from a lever on the front of the dial. 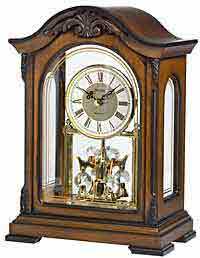 Size: Height 11" Width 18" Depth 6"
Clocks for sale at The Clock Depot including the 613-559 at discount prices.